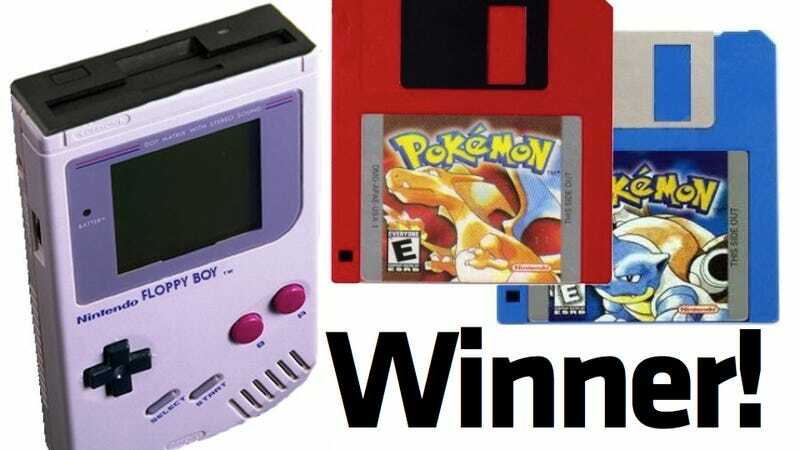 Last week I threw an open-ended challenge at the community and you guys responded more than admirably, turning a reimagining of modern games on ancient media from a silly what-if into one of our better contests in a while. We've got GiantBoyDetective's overall No. 1 (pictured) plus the 20 finalists inside! So the point was either to show what it would take to deliver a modern game on old media, or show a modern game de-made so it would be playable on an old setup. Or anything in between, I wasn't picky. So there were quite a few text-adventure entries. Kharon (8) gets the nod for using the Robco terminal screen. a.seivewright (1) got a laugh out of me; anyone who pirated floppies back in the day should give one up, too. Cerby (3) imagines goofing off at work on a terminal from back in the day. lewismortonsyb (13) goes back in time to imagine crappy box art as, well, still crappy box art. mrjoeyyaya (14) hand-drew a ton of de-makes; Dead Rising was my favorite of them all. Pedro Silva (15) has a very appropriate premium included with his Valve Complete Pack on floppies. terryp03 (19) had a similar take. Lots of folks went with Metal Gear Solid 4; Inkmonkey (6) gave it multiple disk drives to handle the multiple disks. Assault (2) gets on the board for representing it with a disk that contains nothing but the loading screen. Best overall? DexterMoon (4) makes a very simple, very hilarious joke. God, imagine that thing showing up at your door. Kyosen (10) turned in a brilliant text-adventure GTA IV that must be read. He then revised the entry and you can check that out here, but I liked his original just fine. Hate to edit and repost, but there was too much I wanted to change. No. 1, however, goes to GiantBoyDetective (5), for the most creative and chuckle-inducing combination in the contest. The name and the absurdity of the device never fail to make me laugh. Do see the original in the gallery. Thanks again to everyone who entered. We'll be back tomorrow with another challenge.